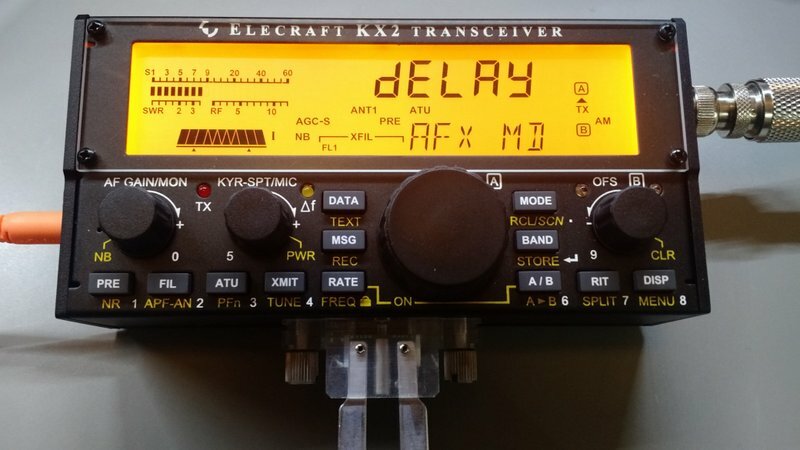 My new Elecraft KX2 tuned to Radio Australia this morning. I’ve only had my Elecraft KX2 since Monday evening and have been so busy, I’ve only had an hour or so to tinker with this pocket transceiver. Monday evening, before putting it on the air, I updated the KX2 firmware to the latest Beta release which includes the new AM mode. I’ve had so many questions from readers about the KX2’s AM audio already, I thought I’d do a quick comparison with the LNR Precision LD-11. I set the LD-11 to a bandwidth of 9.6 kHz, and the KX2 to 5 kHz: their widest AM filter settings. Keep in mind, this is not an apples-to-apples comparison, but it does showcase each radio’s potential AM audio fidelity. I tuned both rigs to the Voice of Greece last night on 9420 kHz around 00:30 UTC. VOG’s signal was strong into North America. I made the following recordings with my Zoom H2N digital recorder, by feeding in-line audio patched from each radio’s headphone jack. I tried to balance the audio levels between the two rigs. Note: Some Elecraft radios have an audio effects mode which includes a “delay” function. 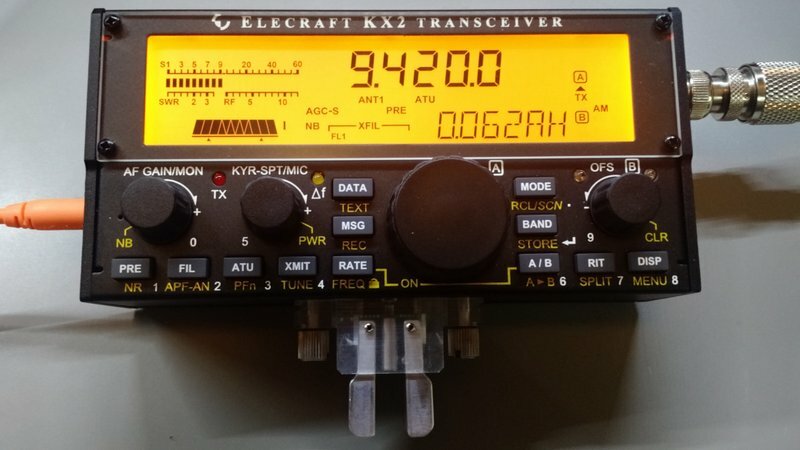 Elecraft describes it as “a quasi-stereo effect intended to provide depth and space to the received audio.” On an AM broadcast signal, it makes it sound wider and gives it almost a stereo depth. I think the results from both radios are impressive. Since the LD-11’s bandwidth can be widened to 9.6 kHz, strong signals like this one sound pretty amazing. In truth, I actually prefer a filter width of about 8.2 kHz on strong signals, but VOG was wide enough to justify 9.6 kHz. I believe the LD-11 would rival many dedicated tabletop receivers. The Elecraft KX2, in normal audio mode, sounds flatter and narrower than the LD-11 of course, but still very pleasant! In the KX2’s “delay” audio mode, the signal sounds much wider than 5 kHz, though the effect adds a little graininess to the audio. That’s okay, though–I love having the “delay” audio option in my tool bag. Here’s what amazes me as an SWL and ham radio operator: both of these QRP transceivers offer excellent HF broadcast listening opportunities. Please comment! Which audio sample do you prefer? Do you like the “delay” audio effect on the KX2? Keep in mind this is only one comparison and doesn’t address sensitivity or selectivity. 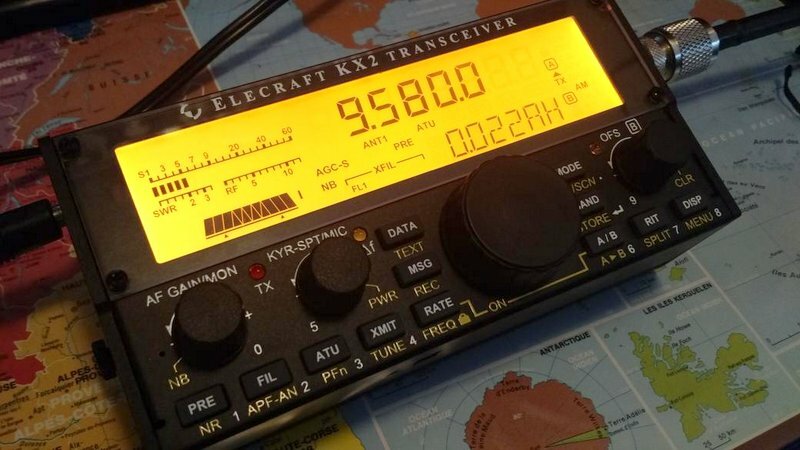 This entry was posted in Ham Radio, New Products, News, Portable Radio, QRP, Radios, Shortwave Radio and tagged Elecraft, Elecraft KX2, Elecraft KX2 AM Mode, General Coverage Transceivers, LD-11, LNR Precision, LNR Precision LD-11, Voice of Greece on August 31, 2016 by Thomas. i agree w/ the above posters. LD-11 sounds significantly fuller than the KX-2. the “Delay” on the KX-2 sounds fuller than w/ out it, but at the same time degrades the audio a bit. either is very passable. i do like that LD-11. nice looking/sounding little radio! The LD-11 sounded best–but like you say, this is not truly and apples-to-apples comparison vis a vis the large differential in bandwidths. The KX2’s delay feature, to my ears, is a considerable improvement to the non-delay mode in terms of overall sound satisfaction. It made the relatively narrow bandwidth sound wider, and there seemed to be a boost in the mid and high audio range. Thanks for the audio clips. 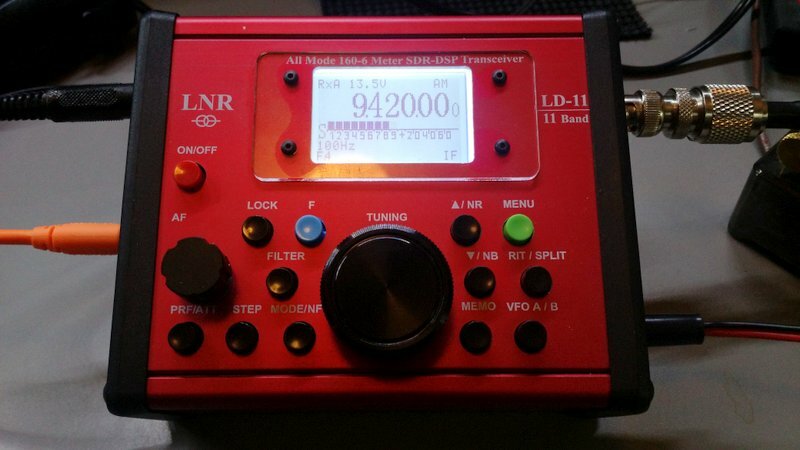 The audio from the LD – 11 sounds clear and pleasant. I think it sounds better than either recording of the KX2. The KX2 sounds good and I do like the delay mode audio. I came to this conclusion as well…thanks!